Peter Breslin, District Manager for the Uxbridge and Hillingdon area, ran ‘The London Big 10k Bupa Race’ last month in support of the Michael Sobell House Hospice. It was an intensely hot day, and many runners struggled to go the distance. However, Peter did finish, and he did it in a respectable time. Ever enthusiastic, Peter has also volunteered to run in a second 10k event in support of the hospice, which will be held locally. 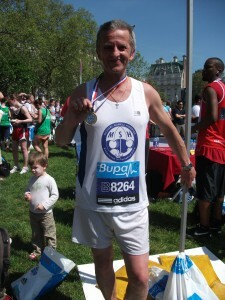 His participation is on behalf of Walding & Son Funeral Directors in Uxbridge, who are a major supporter of the charity. The hospice, which also has connections to Mount Vernon Hospital, takes terminally ill patients for treatment, respite and long term care from all over the Uxbridge area.